Breast cancer is still one of the leading causes of death among women of the developed countries, in spite of the tremendous advancements in our knowledge of breast cancer molecular subtypes and treatment options. In particular, dealing with metastatic breast cancer represents a challenging medical problem (Lambert et al., 2017). 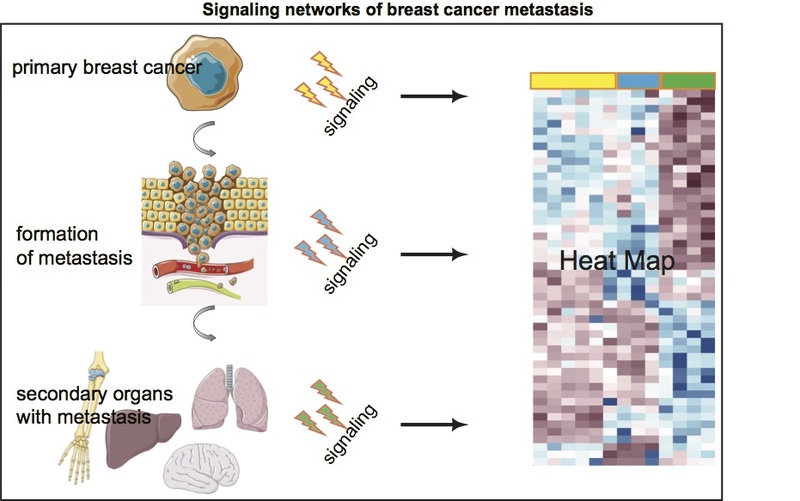 Cellular and molecular processes underlying metastasis formation, dissemination, and heterogeneity remain the least understood aspects of breast cancer biology, especially from a cell signaling perspective. This project aims at identifying a breast cancer “metastatic predictive signature” in patient-derived samples taking into consideration both different breast cancer molecular subtypes and metastasis to different organs. 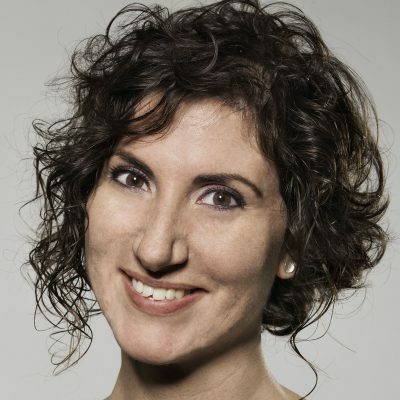 A systems biology approach, which combines quantitative mass spectrometry-based (phospho) proteomics, bioinformatics analysis, in vivo experiments, and traditional functional assays in patient-derived samples – grown as organoids – will be used. Uncovering breast cancer “metastasis signatures” will improve our understanding of the molecular landscape of breast cancermetastasis, will allow a better classification of patients with metastasis, and will provide novel candidates for better treatment options of metastatic breast cancer.